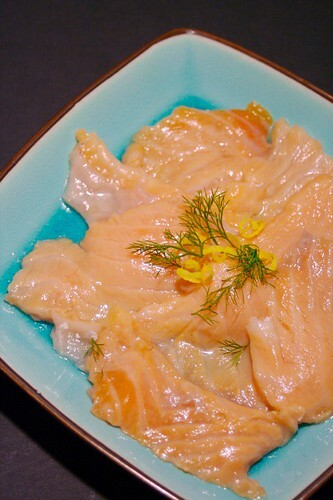 As simple as sad: thinly slice some salmon fillet and cover it with freshly squeezed lemon juice. Let it marinate for 20-30 minutes. This is absolutely stunning, in its simplicity.